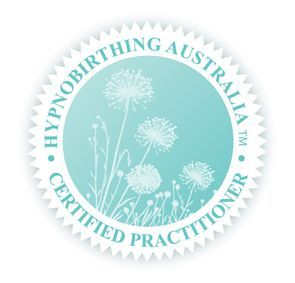 The director of Hypnobirthing Australia, Melissa Spilsted, is amazing! I have been involved in the "Hypnobirthing" world for many years, encouraging my clients to attend a Hypnobirthing class or use a home study program, but I never felt 'right' about joining the organisations as a practitioner UNTIL I came across Melissa and Hypnobirthing Australia. Melissa has a teaching background and is also a Clinical Hypnotherapist. This program is second to none! It is specifically designed for Australian mothers and is of an exceptionally high professional standard. The class is held over 2 consecutive Saturdays. Please contact me if the scheduled dates don't suit you so we can discuss other options. 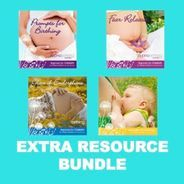 - free membership in my Nurtured Mamas Program (valued at $300!) which includes a private online community. 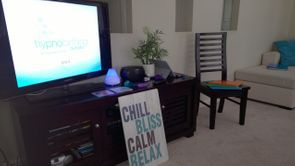 Private classes can be held in the comfort of your own home or (if you prefer) in my home or even online via Zoom! There's nothing quite like a cosy home environment to help you relax, learn and practice the wonderful techniques that I will teach you. This option also enables me to tailor the program somewhat to your needs and specific questions. This is a very special course for mamas having a planned caesarean birth. This class is 4 hours one-on-one in the comfort of your home (or online). Every mother deserves to have a positive and empowering birth. Please contact me to book a mutually convenient time. For more information on this WORLD-FIRST and GROUNDBREAKING course, or to find a practitioner near you, click here. Small group classes are held at my home, located in the centre of Campbelltown, NSW in the Macarthur region of South West Sydney. Classes are usually held on the second and third Saturday of each month. Please see the online enrolment form for dates. We aim to have a relaxing and fun day. You may wish to BYO lunch and enjoy the private back deck or visit the eateries just down the road in our lunch break. Step 1: Enrol and pay $150 deposit. Step 2: Tell your friend about the class. Step 3: Send me an email about your friend. Step 4: Your friend enrols in the same class or an upcoming class and pays $150 deposit. Step 5: You both get a $50 discount off your balance remaining!!! Click here for more information on Hypnobirthing Australia, blog articles, birth stories and videos. Payments can be made by cash, direct deposit or credit card. A non-refundable deposit of $150 is required to secure your position and then the remainder is due no later than 7 days before the start date of the class. Payment plans are available if you would like to pay off your course on a weekly basis. For this option, a direct debit is set up with EzyPay. Please note, there are some administrative charges (paid to EzyPay) for this service. The total amount needs to be paid before the start of the course. All payment plans include an initial payment of $150 (deposit) and then the remaining amount being divided into weekly payments. Online signup is now available so this option is easy, quick and convenient! Below are preset payment plans which you can sign up directly to from this page (just click on the button). If you require more or less weeks (to pay off your course in time), please contact me and I will set up a payment plan especially for you. 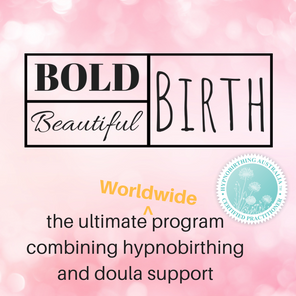 Want to give hypnobirthing a test drive before booking into a class? I offer a $50 discount to anyone who purchases a Practice Bundle and then books a class with me!! TRY HYPNOBIRTHING TODAY! To view the upcoming class dates, click here. Located in south-west Sydney. An easy drive down the M5 or M7 motorways. Campbelltown is only 50 minutes or less from Sydney CBD and most west/south-western suburbs.